Keno is very similar to a lottery game. Keno rules are very simple to learn and understand. The players just have to choose four to ten numbers from the keno ticket. They can choose numbers between one and eighty. Choosing more numbers improve your odds and makes you eligible for the highest jackpot. In a land-based casino, the players mark the numbers on keno ticket and get a copy of the ticket. Twenty numbered balls are selected by the keno machine. If the balls selected by the machine match the player’s selection of numbers, he wins a prize. The prize depends on the number of balls matched. Keno has a very high house edge, usually more than 30%. Keno Straight Tickets: In this ticket, the players pick the numbers for just one game. The more numbers a player picks, the more he have to pay. The player can also choose how much he wants to bet. The best odds are around the 4-8 number bets. Keno Split Tickets: In this ticket, the players can play two keno games in one ticket. A single ticket is divided between the numbers for each game. But the player cannot use the same number on both bets. An online keno ticket can be split as often as you want so long as the numbers don't overlap. Keno Way Tickets: In this ticket, the players can play more than one keno ticket at the same time. A player can bet on their chosen numbers at once without buying multiple tickets. A keno way ticket has to have at least three equal series of numbers. Keno Combination Tickets: Keno combination tickets are the most confusing of all keno tickets. In combination tickets, the players can combine different ticket bets in any way they want, straight bet or way bet. The player can bet on different groups of numbers. Then the player can bet separately on each series, or combine them with some or all of the others. King Ticket: In this ticket, the player selects one number to be used with all the other groups that have been selected. Multi Race Ticket: This ticket is played for two or more sessions in a row. Keno is a game of pure luck. As numbers are chosen randomly, the numbers drawn currently have no relation to those drawn previously. So every number has the same chance of being drawn as the next. One keno strategy is to pick successive numbers. Selecting pairs such as 17 and 18 or perhaps 41 and 42 qualify as successive numbers. Another keno strategy is to use the same set of numbers consecutively. Another popular keno strategy is to wisely decide how many keno numbers to play for a particular ticket. 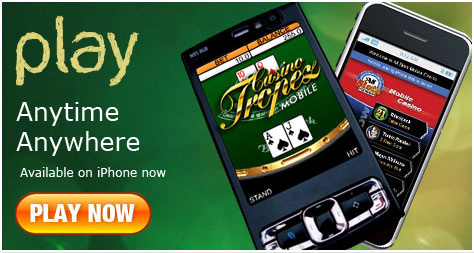 Casino Club offering Keno game welcome bonus of 100% up to €650 You have your number play now.